They’ve been called flip cards, flip flop cards, swing cards, and more—but they have always been a bit tricky to create. Not anymore! 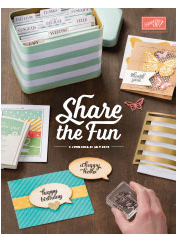 Our amazing new Thinlits Card Dies cut and score to create a card that flips in just one step.